Do you have questions about what adjustments and changes you might need to make now that your child has grown beyond the infant stage of babywearing? Learn how to work with a reluctant wearee, what carriers we recommend, and when you should move up to a toddler or preschool carrier from an infant one. Our educator(s) will be bringing some of the toddler and preschool sized carriers from our libraries for you to try, along with a selection of other carriers that you can use with your larger child. Please bring your own carriers with (if you have them, this is not required) so we can help you with adjustments for fit and comfort for both you and your wearee. Attendance is free for members of Greater Atlanta Babywearing, $10 donation to [email protected] via paypal for nonmembers to reserve slot. Open to 6 attendees - sign up quickly! If you want to join before the workshop, visit our website at http://www.greateratlantababywearing.org/join.html, fill out the form and make your donation through our Paypal donate button. You also have the option to join at the workshop. 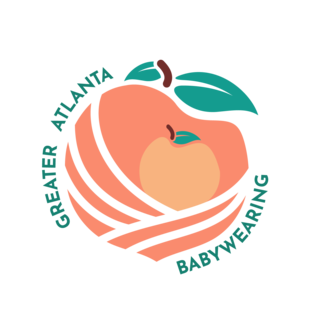 Check out our host store, Crunchy Mama Store, a recently opened natural caregiver and baby store in Buford, GA. We are happy to have them as one of our partner stores here in the greater Atlanta area, show your membership card to receive 10% off baby carriers.